Our talented young apprentice Amy has been nominated by her college Alan D, to compete for the prestigious National Hairdressing Student of the Year British Awards 2014 (NVQ 3). 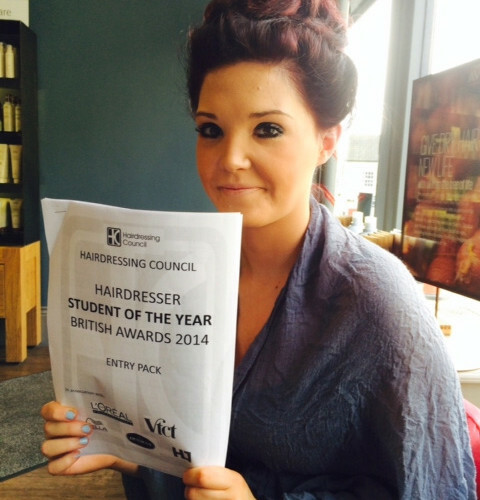 Only one student from the top hairdressing schools around the country get this opportunity. We couldn’t be more proud! Follow her progress as puts in her work towards a summer judgement to see if she makes it to the last 10 in the nation. Finals are in the Autumn.